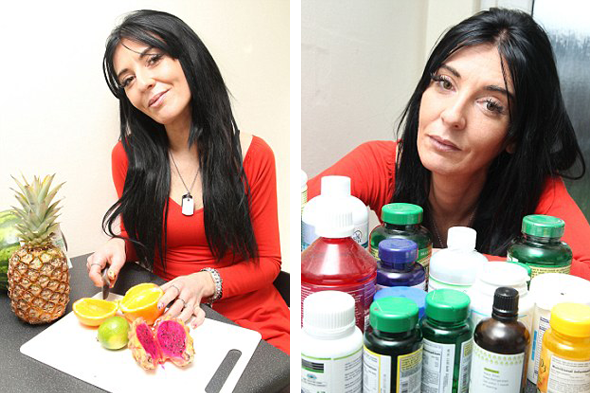 A young mother-of-two has refused NHS cancer treatment and is trying to cure herself with herbal remedies and a raw food diet instead. Kelly Logan, from Dagenham, Essex, was diagnosed with breast cancer just five months ago after finding a lump in her chest. 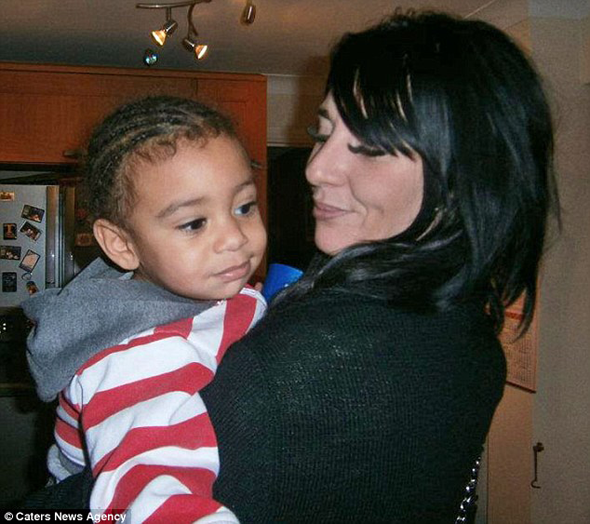 The 34-year-old was devastated when doctors told her she needed emergency surgery, chemotherapy and radiotherapy to give her the best chance of survival. 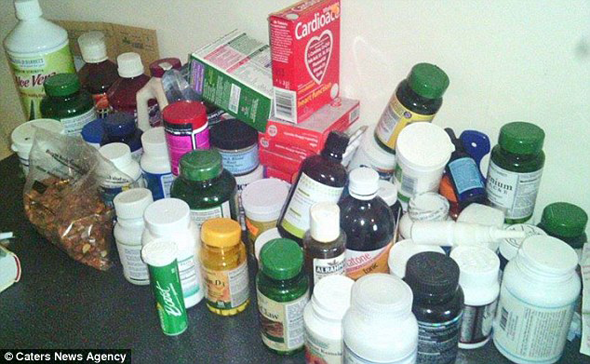 But to the horror of her doctors - and initially her family - she has defiantly refused all medical treatment, opting to eat raw vegetables and take vitamin supplements in a bid to prolong her life. Ms Logan said: 'I don't want to lose my breast and be pumped full of chemotherapy. 'People have called me selfish because I'm refusing all treatment provided on the NHS but if anything, having the treatment is selfish. 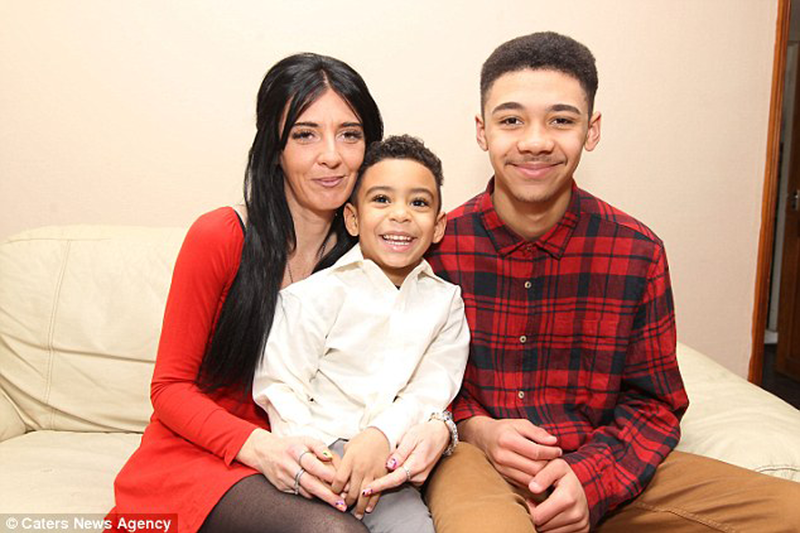 'I wouldn't be able to do anything with my eldest son, Logan, who is 14, and my youngest son, Blaze, who is just four, if I was being sick and feeling tired all the time. 'Thanks to my new eating and exercising regime, I now feel healthier than ever. 'Being diagnosed with breast cancer at such a young age is heartbreaking but I was more petrified of chemotherapy than I was about the cancer. Ms Logan has always been against chemotherapy and invasive treatments that aim to cure cancer. She said: 'One of my friends had cancer but he died while having chemo as his immune system became so low. Ms Logan’s cancer is likely to spread around her body. 'But this is a very risky strategy. and had looked at the evidence. there was a chance they could fly a plane. the form of surgery, chemotherapy and radiotherapy. they are putting their lives at risk. around her body. That's what usually happens. 'Also, the thought of losing my hair terrified me as well, I didn't want to look like a cancer sufferer. 'Doctors told me I needed to lose my whole right breast and that chemo would stop it from spreading. 'I decided to research alternative treatments online and that's when I found out about the different herbal remedies you can take to help your body. However, experts warn there is no evidence alternative therapies can cure cancer, stop its spread or slow tumour growth. Sue Green, senior information development nurse at Macmillan Cancer Support, said: 'Using herbal remedies instead of traditional cancer treatment is considered a form of alternative therapy. 'Alternative therapies are used instead of conventional cancer treatments. They are different from complementary therapies. 'No alternative therapies have ever been proven to cure cancer or slow its growth and Macmillan Cancer Support does not advocate the use of them. But Ms Logan believes chemotherapy would ruin her quality of life, and alternative therapies will allow her to live longer. She said: 'I don't allow cancer to rule my day to day life but I like to see if my self-healing is working to halt the growth of my lump. She monitors the size of the lump on her breast by drawing two black dots onto it every day. She said: 'My mum was really upset but once I showed her my research and what I hoped to do, she understood and accepted my decision. Ms Logan has an ultrasound on her breast every three months but doesn't plan to accept treatment even if her cancer starts to grow rapidly. She said: 'On my last check-up in January they told me that my lump at grown 0.9mm, which is such a tiny amount considering how long I have had the tumour for. She says feels that she's taking her life into her own hands and wants others to do the same. She added: 'I feel better than I ever have, people always say I look great considering I have cancer but it's because I haven't been pumped with drugs. 'I take about 20 different vitamins to help keep up my immune system. 'I'm not looking for a miracle cure but I feel I can keep my life as normal by following my own detoxing treatment plan. 'I haven't asked doctors how long I will live without treatment but I'm confident it will be longer than if I had conventional treatment. Ms Logan has even set up a blog to document her journey and is writing an eBook in a bid to provide others with diet tips and herbal remedies that combat cancer. She said: 'I know not everyone will agree with my choice of self-healing but there are lots of people who do and it's amazing how much support I have had from complete strangers. For more information on cancer treatments, or support from Macmillan please visit their website www.macmillan.org.uk or call their support line on 0808 808 0000.